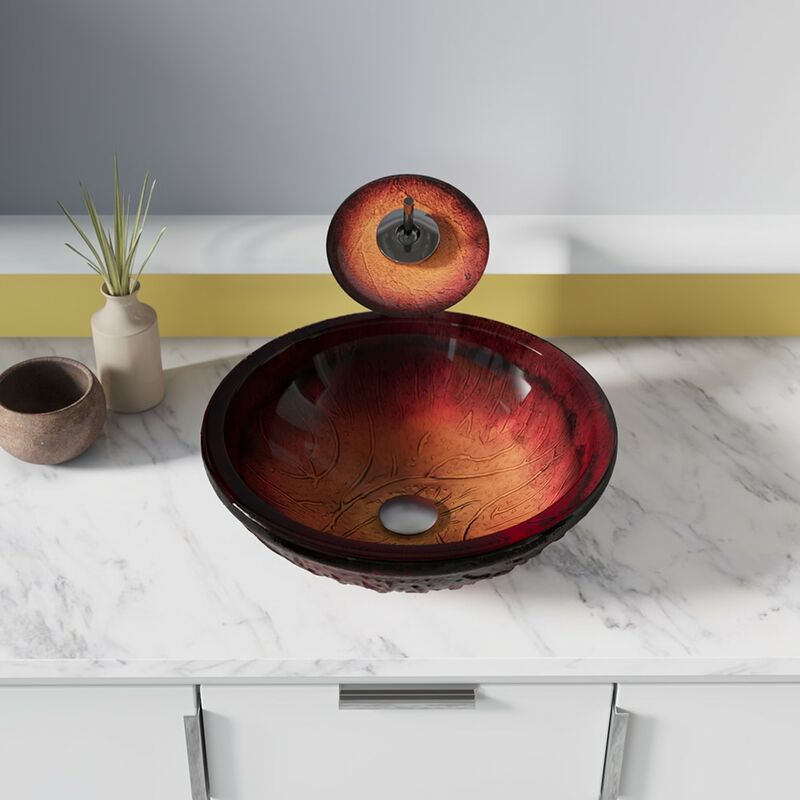 The 618 red lava glass vessel sink is manufactured using fully tempered glass. This allows for higher temperatures to come in contact with your sink without any damage. Glass is more sanitary than other materials because it is non-porous, will not absorb stains or odors and is easy to clean. This classic bowl-shaped vessel has vibrant red and yellow paint dancing around an embossed pattern throughout the sink. A matching glass waterfall faucet is available to correspond with this sink. The overall dimensions for the 618 are 16 1/2" Diameter x 5 1/2" Height and an 18" minimum cabinet size is required. As always, our glass sinks are covered under a limited lifetime warranty for as long as you own the sink. CONTEMPORARY STYLING – Lava trails blaze through a thick, fiery basin of yellow, orange, and red; smooth across its highly-polished interior and embossed on its matte-red exterior.